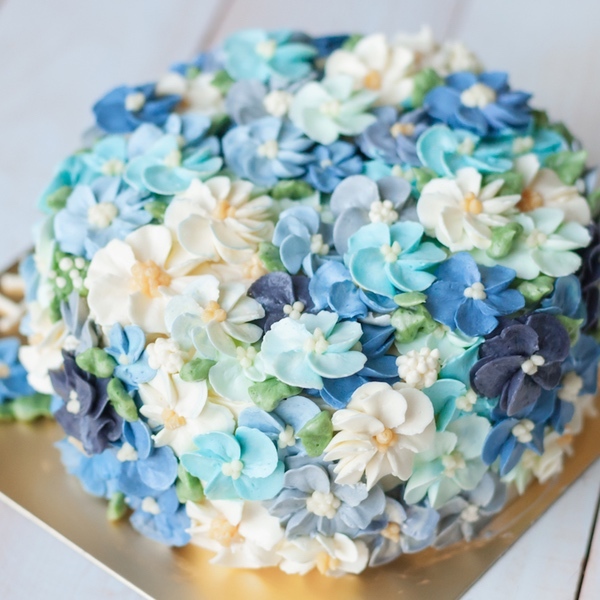 When it comes to beautiful desserts, cakes often get all the credit. 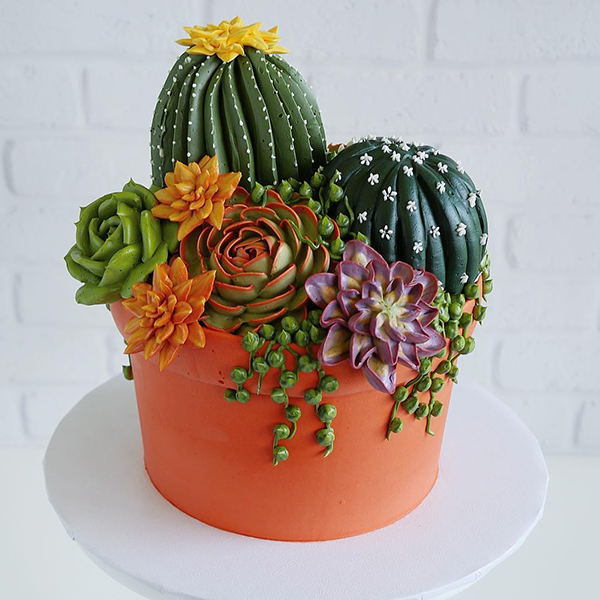 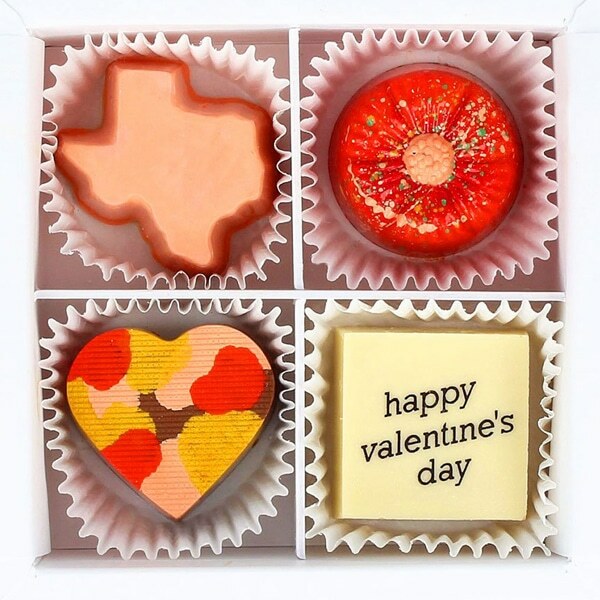 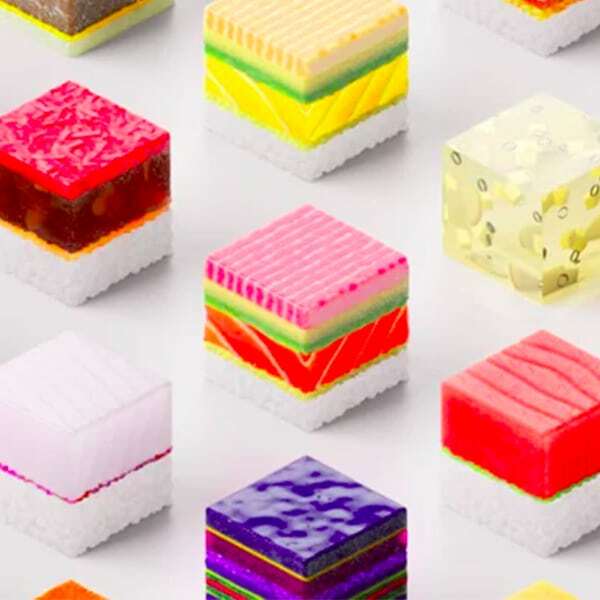 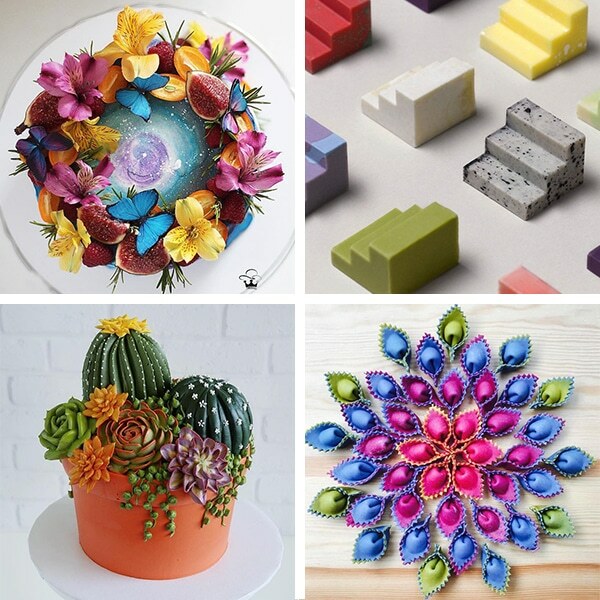 It’s easy to see why—with spectacular trends like buttercream flowers and sculpted sugar brushstrokes, there’s a definite “wow” factor with these confections. 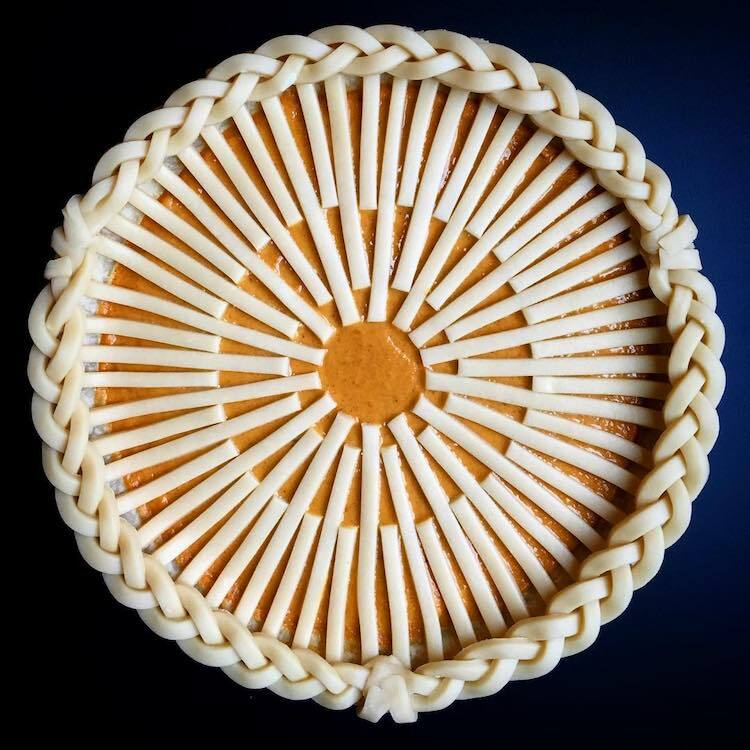 But you can’t underestimate the power of creative pies. 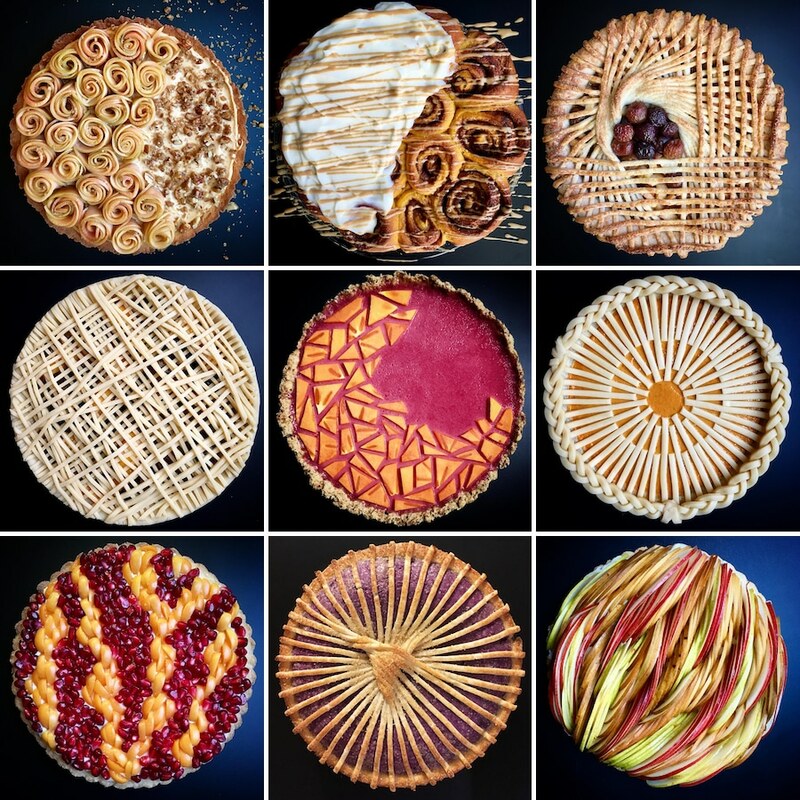 Lauren Ko, a home baker from Seattle, produces spectacular pie crusts that are as much a work of art as they are tasty. 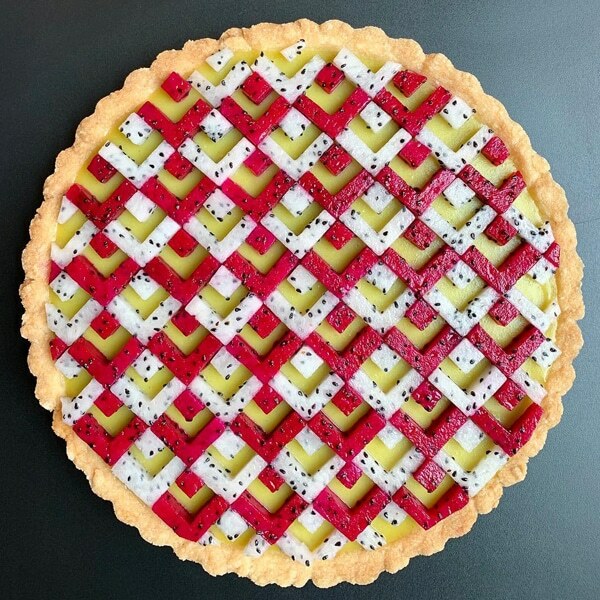 Many of Ko’s pies utilize a lattice pastry approach, but with a twist. 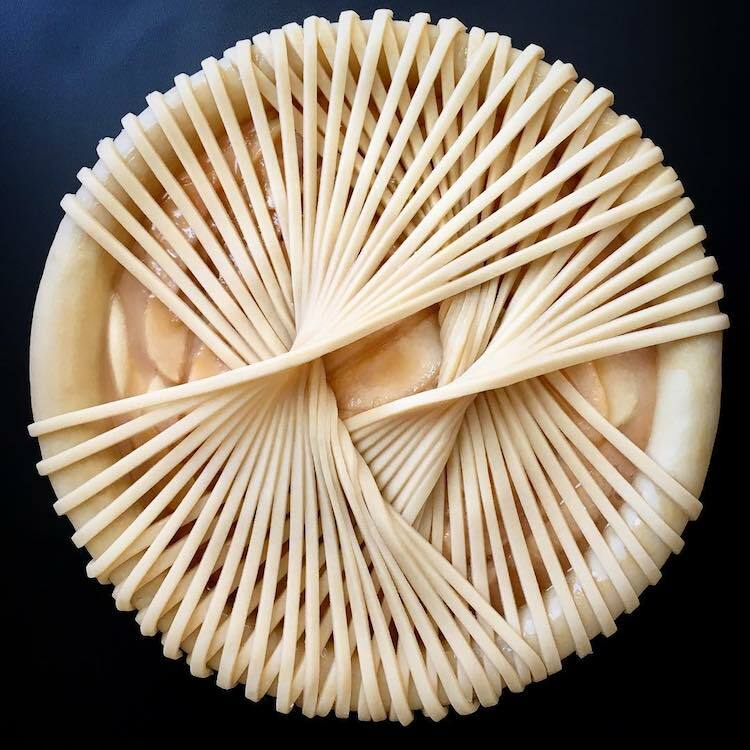 She will arrange the long, thin strips of dough in complex weaving and graceful crisscrossing patterns. 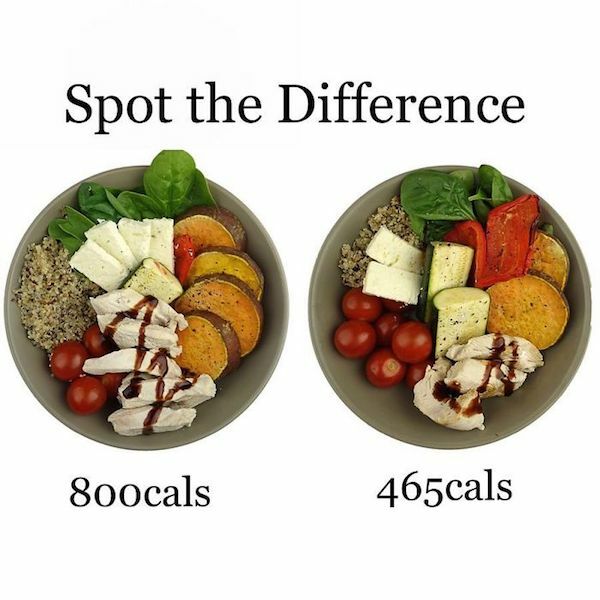 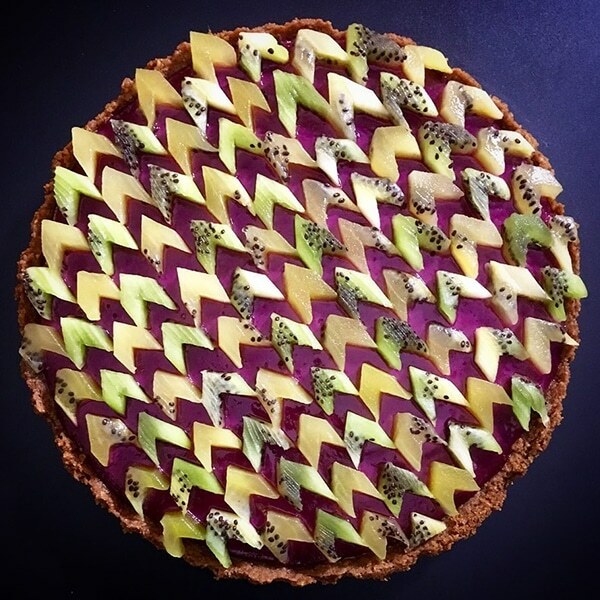 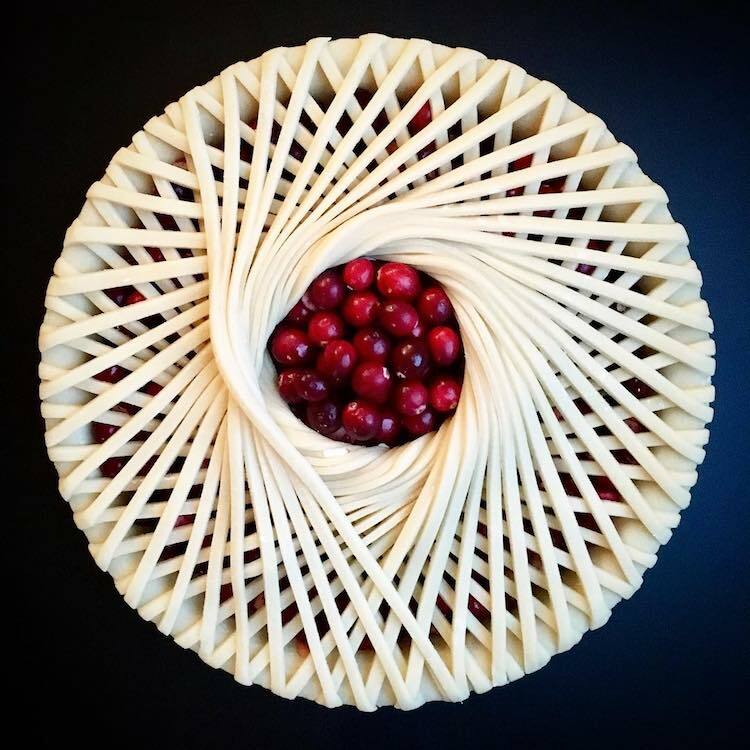 The results often frame the pie fillings; in some of her recent creations, the lattices enclose a bunch of berries for a bullseye-style design, while another pie has a mandala-like shape in the center. 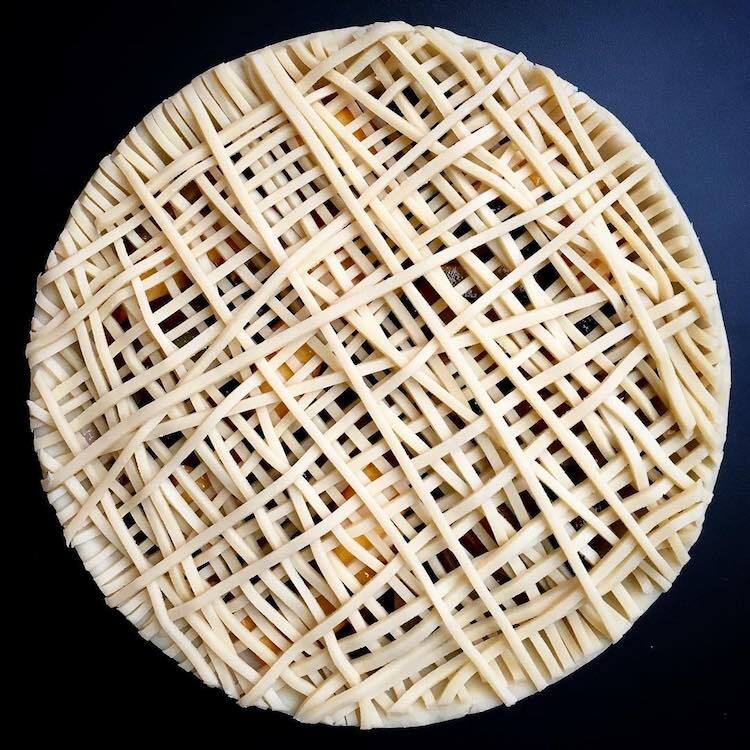 Ko started baking pies about a year ago and has only begun sharing them on Instagram. 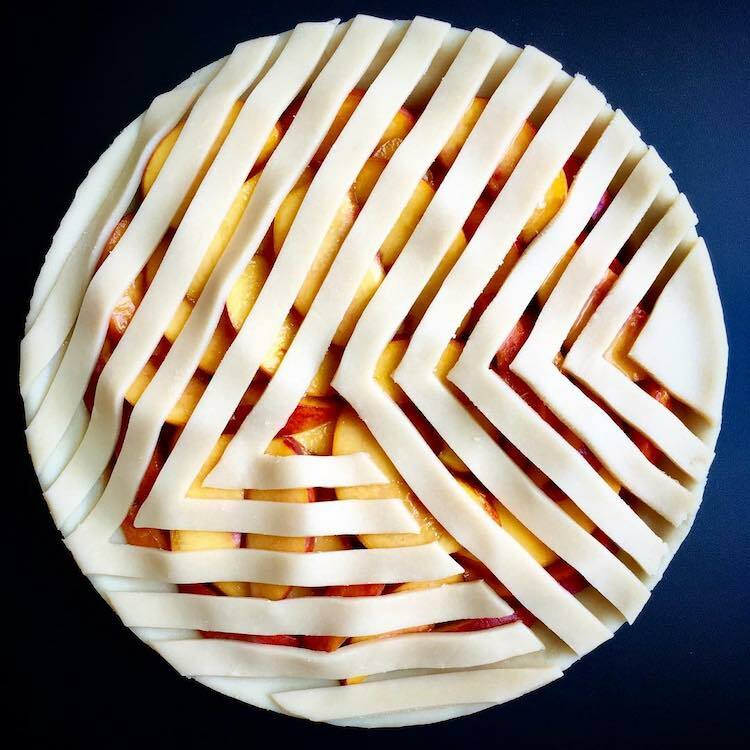 Follow along with @lokokitchen to see what’s out of the oven. 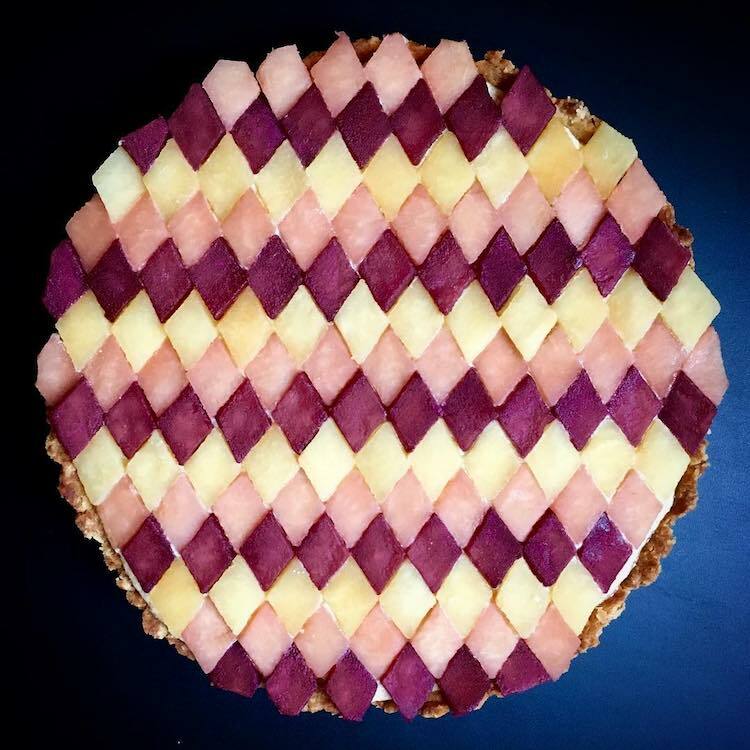 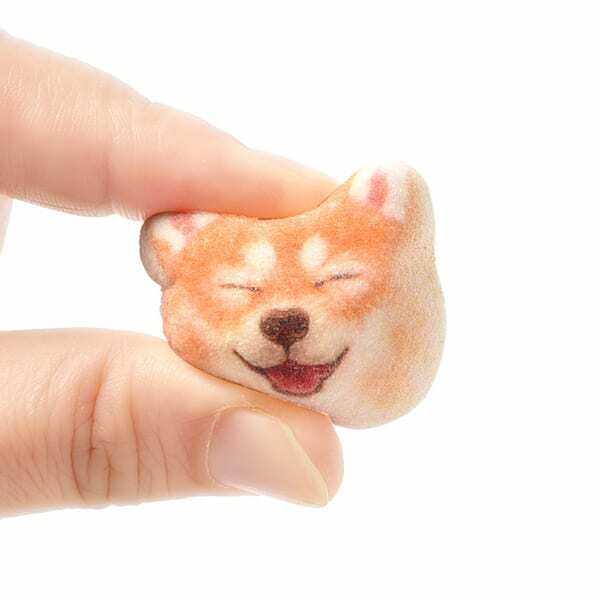 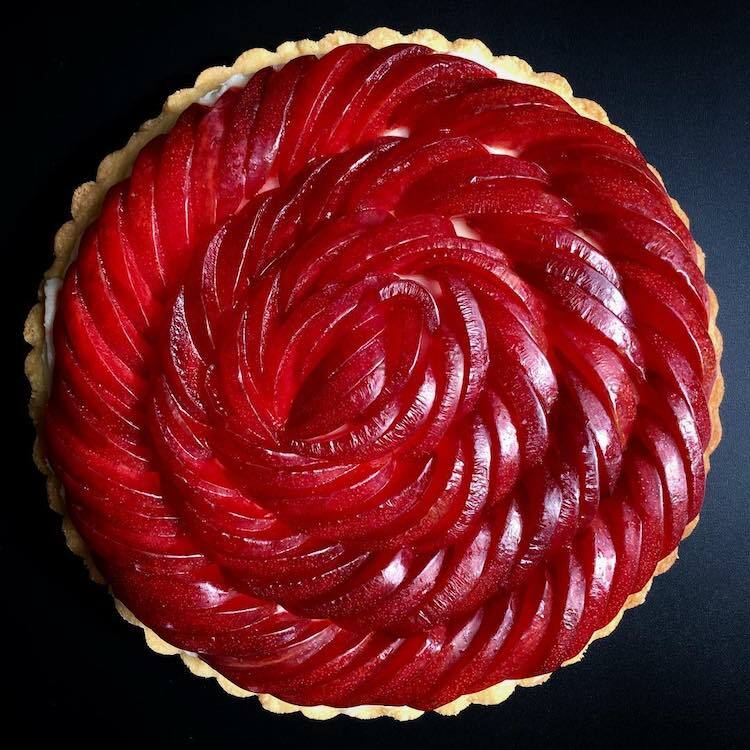 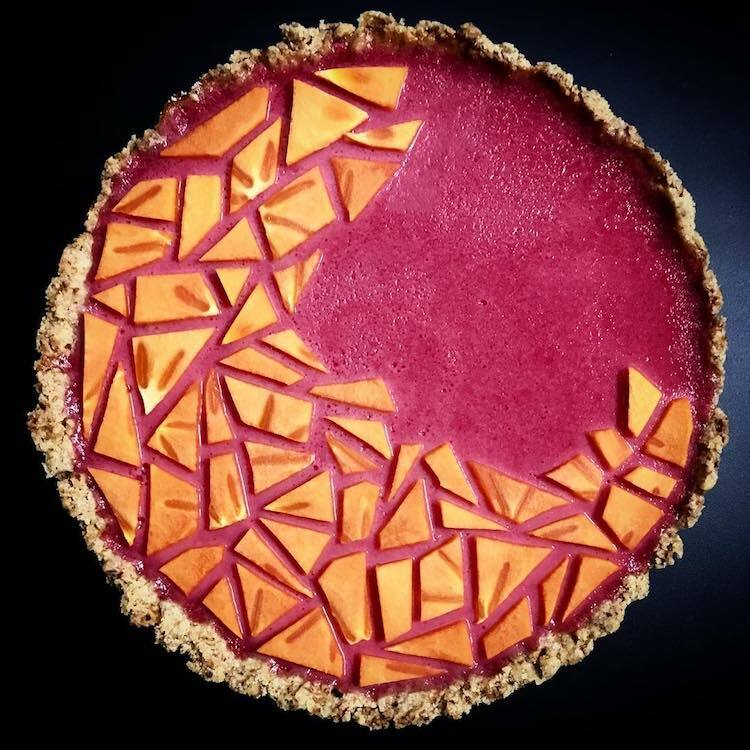 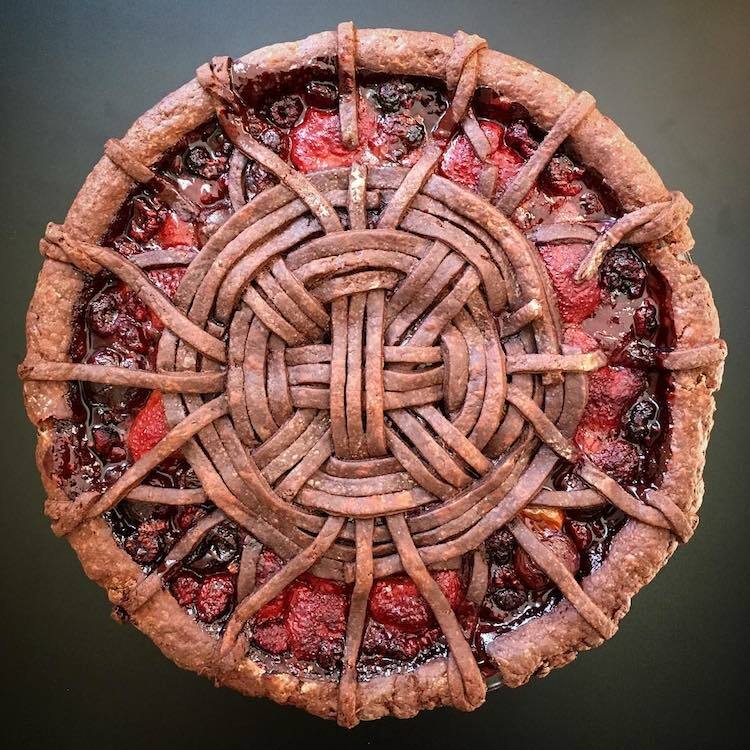 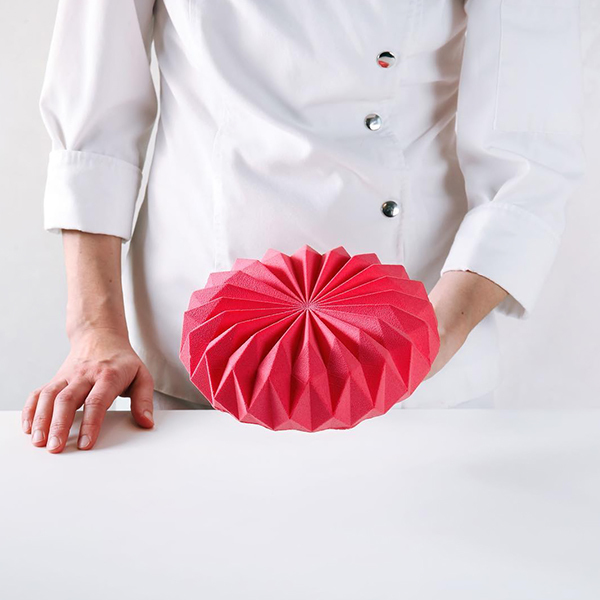 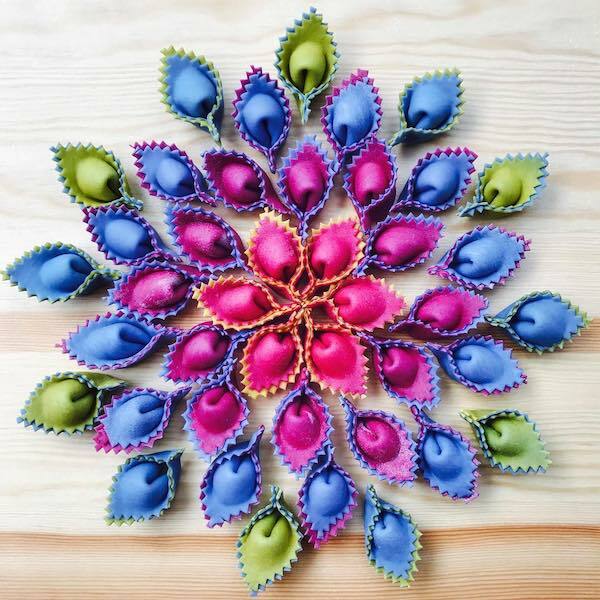 Home baker Lauren Ko showcases the possibilities of edible art with creative pies. 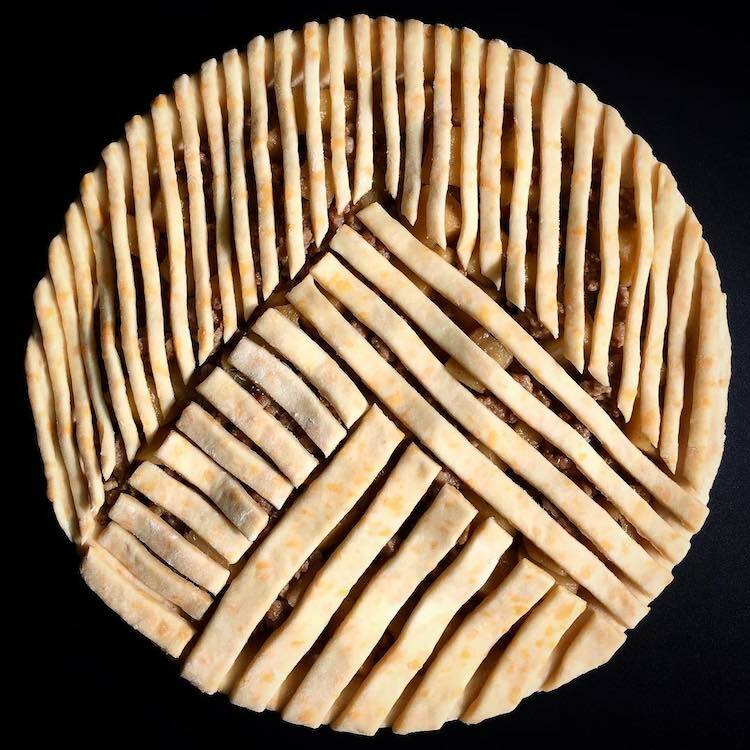 From abstract designs to art history-inspired designs, Ko lets herself improvise with the pie crust art. 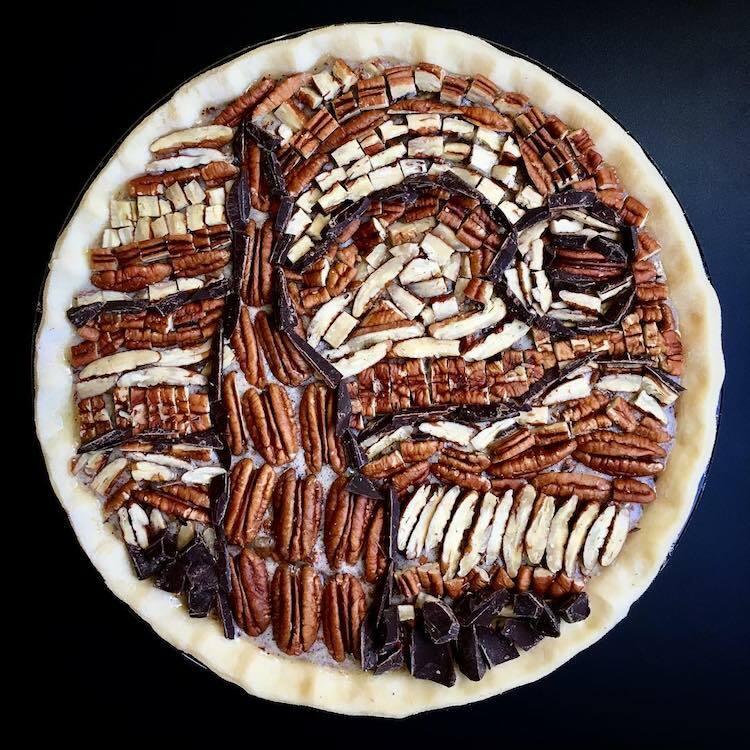 Inspired by van Gogh’s ‘Starry Night’, Ko calls his pie ‘Starry Nut’. 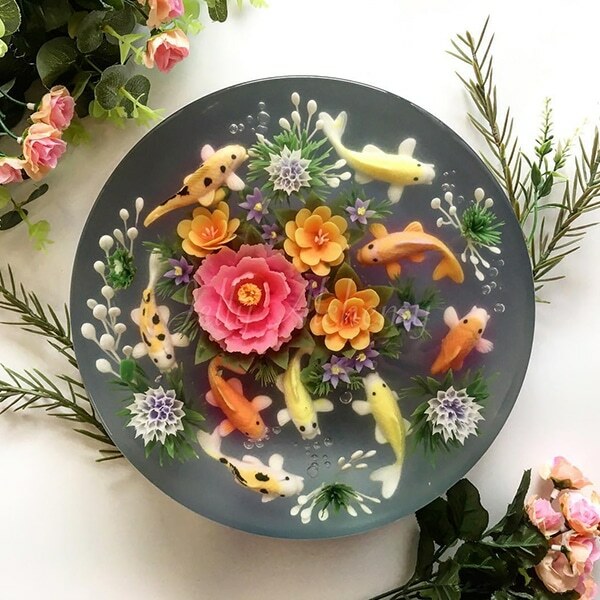 All images via Lauren Ko.